Background It would be useful to have criteria for predicting long-term treatment responses to immune checkpoint inhibitors (ICIs). Maximum depth of response correlates with treatment outcomes among patients receiving programmed death protein 1 axis inhibitors for non-small cell lung cancer (NSCLC). We investigated associations between early depth of response and survival outcomes among patients receiving nivolumab for NSCLC. Methods Using records from prospective observational cohorts, we identified 83 previously treated advanced patients with NSCLC who received nivolumab during 2016–2017. Thirty-one patients who achieved disease control were analyzed. Tumor assessments followed the Response Evaluation Criteria in Solid Tumors (RECIST). Using Kaplan-Meier and receiver operating characteristic (ROC) curve analyses, treatment outcomes were compared with percent tumor reductions from baseline to the first evaluation (8–12 weeks after starting nivolumab). Results Early depth of response was predictive of 6-month progression-free survival (area under the ROC curve, 0.848). Based on ROC results, early tumor shrinkage was defined as a > 10% reduction by the first evaluation. Early tumor shrinkage was associated with significantly longer median progression-free survival (early tumor shrinkage: 16.6 months, 95% confidence interval [CI] 8.5 months–not reached; no early shrinkage: 5.1 months, 95% CI 3.9–6.8 months; P < 0.001) and significantly longer median overall survival (P = 0.046). Conclusions Early depth of tumor shrinkage was associated with outcomes after ICI treatment. Because of its simplicity and predictive ability, early tumor shrinkage may be a promising factor for use in clinical settings. However, confirmation of our results is needed. The online version of this article ( https://doi.org/10.1007/s10637-019-00770-y) contains supplementary material, which is available to authorized users. The authors thank Keiko Sakuragawa for her administrative assistance. Dr. Kawachi has received lecture fees from Ono Pharmaceutical Co., Ltd., Chugai Pharmaceutical, Merck Sharp and Dohme, and Taiho Pharmaceutical. Dr. Fujimoto has received lecture fees from Ono Pharmaceutical Co., Ltd., Bristol-Myers Squibb K.K., Chugai Pharmaceutical, AstraZeneca, Merck Sharp and Dohme, and Taiho Pharmaceutical. Dr. Hosoya has received lecture fees from Chugai Pharmaceutical, Merck Sharp and Dohme, and Taiho Pharmaceutical. Dr. Sato has received lecture fees from Ono Pharmaceutical Co., Ltd. Dr. Tomii has received lecture fees from Chugai Pharmaceutical, AstraZeneca, and Taiho Pharmaceutical. The remaining authors have declared that they have no conflicts of interest. All study procedures complied with the ethical standards of the institutional research committee and with the 1964 Helsinki declaration and its later amendments. • RECIST-based tumor shrinkage may not predict outcomes from ICI treatment. 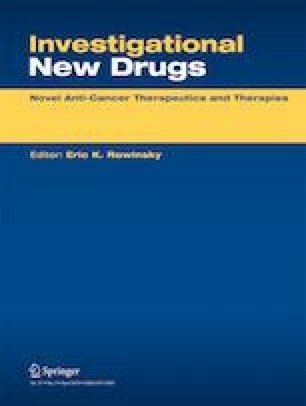 • A > 10% decrease in tumor size predicted good outcomes from nivolumab. • Early tumor shrinkage may be a simple and useful marker in the clinical setting.